Share this product and receive a $2.75 sharing discount. 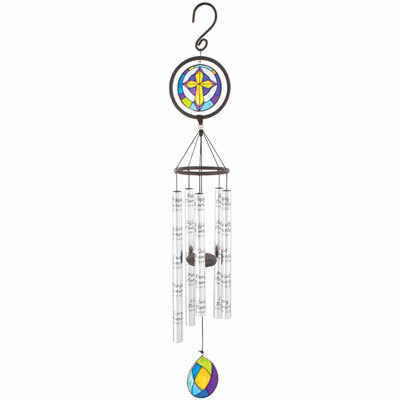 This lovely Stained Glass Sonnet has 5 center pinned tubes that emit sweet gentle tones. Quality glass headers and sails are two-sided, sculpted and hand painted. Crafted from aluminum and industrial cord, adjustable striker. 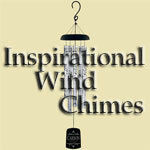 Chimes tubes measure 7/8" diameter. Measures 35" long. Happy Moments Praise God; Difficult Moments Seek God; Painful Moments Trust God; Every Moment Thank God has been printed directly on the tubes.